Thanks for the encouragement. 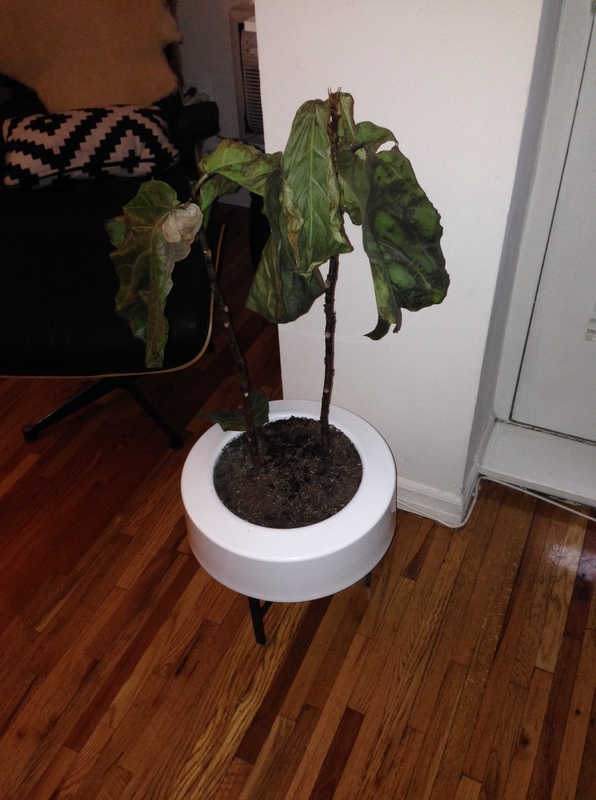 I just brought a fiddle leaf fig home a couple weeks ago and my anxiety level has gone through the roof. I spend time every day inspecting it for any signs of stress. I’m determined to make this relationship work. I apologize for just getting to this! I thought I replied yesterday Your determination is enviable but as anyone who’s ever owned one before will tell you: these things are real assholes. Beautiful, but assholes. Don’t beat yourself up when you start seeing leaves fall. Sometimes–these things–they just shed, and it’s not because they’re dying, but because they’re assholes. Stick with it. Like Kay said below hers was completely bare and still came back. If you’ve got it in a spot with LOTS of sunlight and where the temperature is regulated you should be golden. GOLDEN, MY FRIEND. Ok, that’s it for my rant. Thanks for reading!! Thanks so much for checking it out! I’ve heard the same about fiddle leaf’s. They are TREMENDOUSLY fickle and fussy but hearty in a way that they shed but always come back. 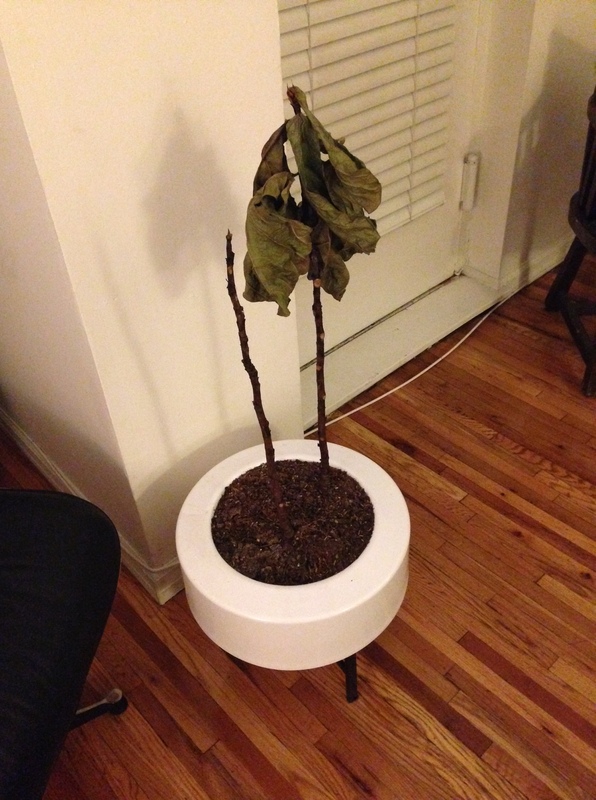 The sad truth is, if it were spring or summertime I could’ve transferred it outside and given it a second life, but with the cold in New York (and the fact that AT was coming I needed *something* in that planter) I had to say my good-byes. It was awful. Those things are gorgeous when they’re not being so dramatic. Thanks for reading! Hope I hear more from you. 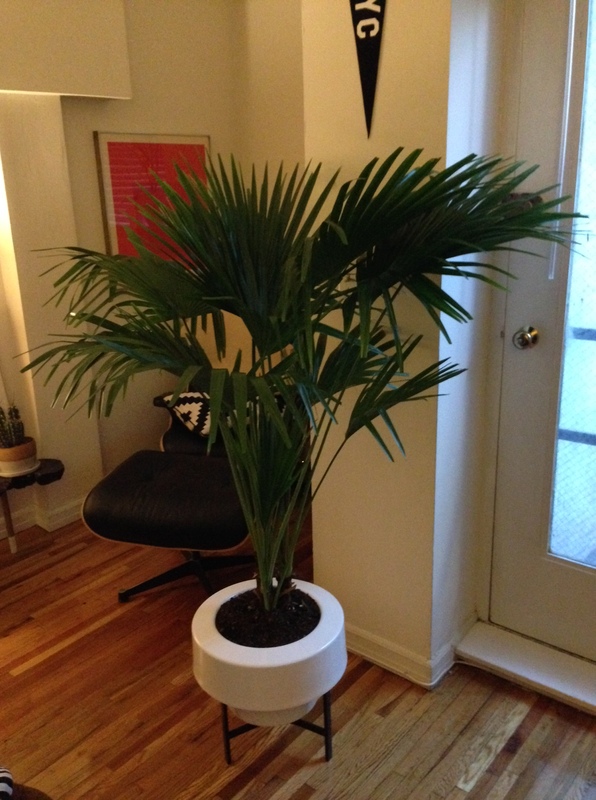 Btw GREAT find–$30 at Home Depot? I know people who’ve paid $200 for 3 footers!! That’s so very kind of you, thank you. My overwhelming need to people-please has now been kicked into overdrive knowing you bookmarked me alongside of guys like Daniel. 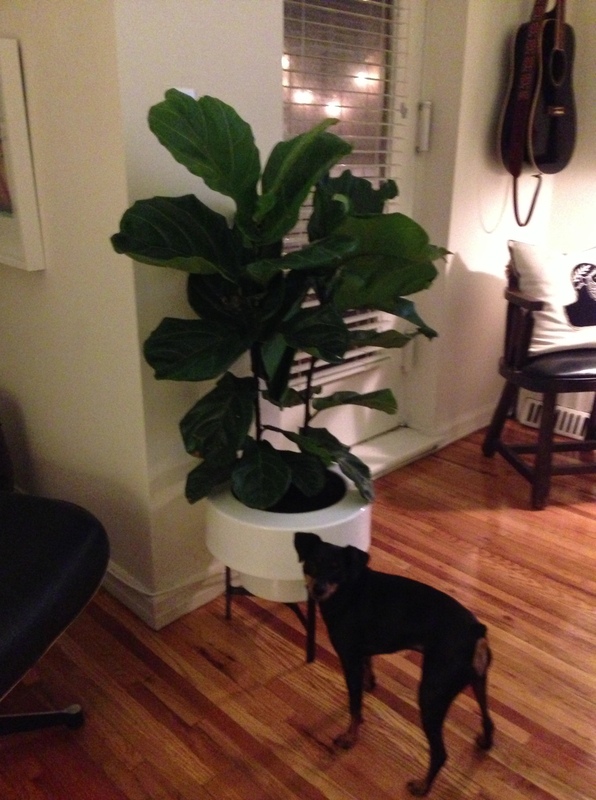 And thank you for adding to the urban legend that is Ikea and their fiddle leaf figs. Everyone tells me about them, but like the Loch Ness monster, or Big Foot, or Jared Leto’s probable Oscar I refuse to believe it. Not that I;m in a hurry to get caught back up in that racket. They are, I would venture to say–without an ounce of hyperbole–the botanical equivalent of spousal abuse. The ups and the downs with those things are just too much. I’m actually going next week for a client so I will keep my eyes peeled!